Serving as another taste of new music, the hard-driving single, “Alright” showcases Cardwell’s powerful four-octave voice, which has turned heads since getting his start performing regionally with The Cardwell Family in the Show-Me State. The fast paced song was heavily inspired by the singer’s humble upbringing, which included stops at venues and Bluegrass festivals throughout the 70s and 80s, along with performing as a member of New Tradition in the 90s. “Alright” was written by Cardwell and features a feel-good message about love and its journey. Getting his start as a songwriter, the prolific musician has collaborated with some of the biggest artists across multiple genres, spanning from Bluegrass to Folk to Americana and beyond. That musicianship is on full display on Stand On My Own, with the Missouri native penning nine of the tracks. As indicated on the project’s lead single, “Time To Drive,” Cardwell’s music has staying power, with the song spending an impressive 37 consecutive weeks on the Bluegrass Today Grassicana Chart, where it hit No. 1 on seven different occasions. Other album highlights include the song “Hurricane Rain,” which was co-written by award-winning radio personality Terry Herd, and features thought-provoking lyrics. Another key moment is the waltz-inspired track “Movin’ On” which was co-written with Danny Roberts of The Grascals. Throughout the project, listeners will hear a combination of upbeat songs, along with heartfelt ballads. Along with his touring band, Tennessee Moon, is a list of who’s who musicians, stepping in to play on part of the album is New Grass Revival alumni Curtis Burch and Pat Flynn, marking the first time the dynamic pair have teamed up together.Stand On My Own serves as the follow-up to the 2017 debut album Tennessee Moon. 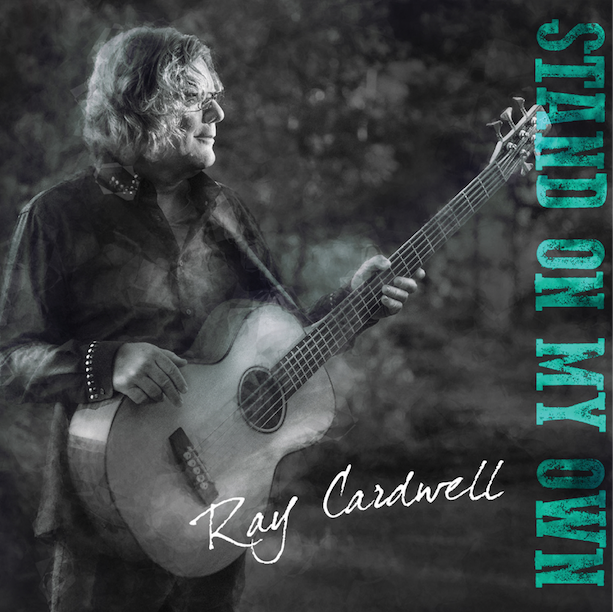 Fans can learn more about the upcoming album by visiting Ray Cardwell’s official website, which also lists upcoming tour appearances. While there, music enthusiasts will also be able to purchase a physical copy of the project, check the latest news stories and more. Previous PostJim and Lynna Woolsey Drop ‘Long Ago’via Bonfire Recording Co.
Next PostShawn Lane and Richard Bennett Announce Upcoming Duet Project ‘Land And Harbor’ Set for Release on March 8 Via Bonfire Recording Co.